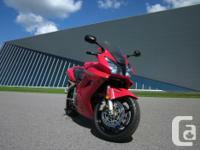 Silver '05 VFR 800 w/ABS for sale. Never dropped. One owner. New tires, brakes and clear lights. I have 2 helmets and jackets for sale as well. 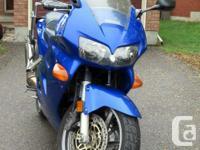 Includes motorcycle "Trailer in a Bag" go to http://trailerinabag.com/index.html to view trailer. Must move quickly.